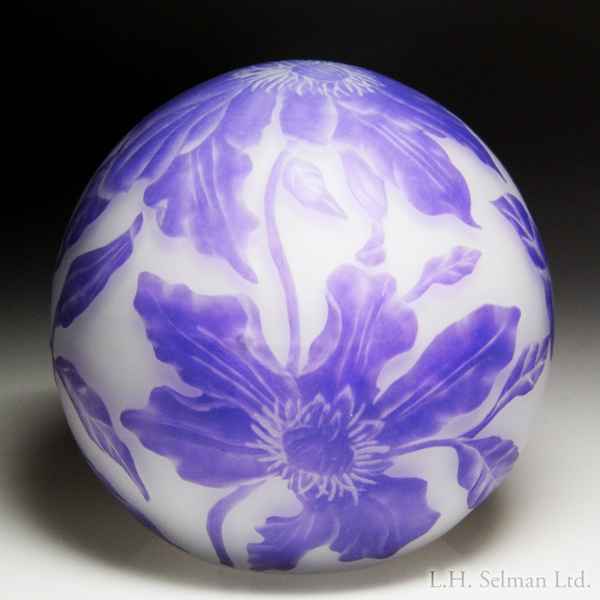 Cathy Richardson 2017 "Lavender Clematis" engraved surface design paperweight. A large fully-splayed clematis blossom grows on a vine with leaves, another blossom and tightly furled buds. 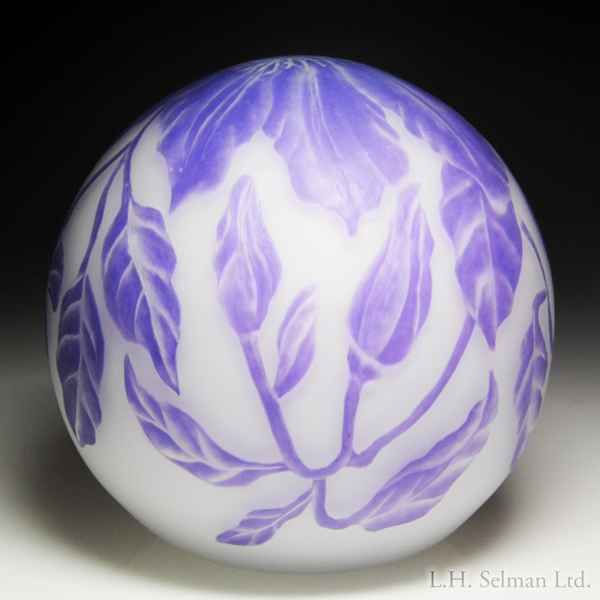 The delicately shaded and detailed design is engraved into a thin purple layer using diamond, stone and rubber polishing bits and contrasts against a milky white surface, only revealed once the color was sandblasted away. Edition #1 of 1. Signed/date. Diameter 3 9/16".